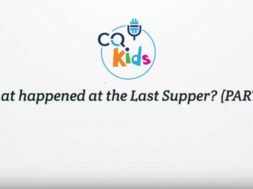 Home Current Events and Prophecy Israel’s Passover – What Does It Mean To Us? Ep.859: Israel’s Passover – What Does It Mean To Us? Today is a special day, for it was on this day over 2,000 years ago Jesus rode into Jerusalem to the adoration of the crowd. This would begin the final series of events that would lead to his death. Today is another anniversary as well, for it was on this day over 1,400 years before Jesus came, all of Israel was to take a lamb into their homes in preparation for the Passover and their miraculous delivery from slavery. Now, either this is a startling coincidence or it is a startling revelation of God’s plans and purposes...guess which answer we agree with? This program discusses "types" and "anti-types" and why that is important for all students of the Bible to unlock connections between the Old and New Testaments. 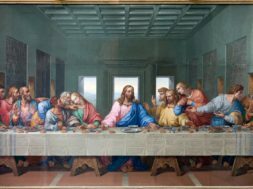 What does the Jewish Passover have to do with Jesus? You might be surprised to find out just how much once you know how to find the clues. Search with us! Pingback: Israel’s Passover – What Does It Mean To Us?